Infinix Zero 6 and Zero 6 Pro flagship phones from Infinix are expected to be announce in the first quarter of 2019. And as it currently stands, it seems works are being finalized at the end of Infinix, so to officially announce the device. Considering the current fierce competition hitting the midrange smartphone market from high-end smartphone OEMs like Samsung, Huawei Xiaomi among others, it best for Infinix Mobility to take much of it time to proper design and craft her devices before making it official. 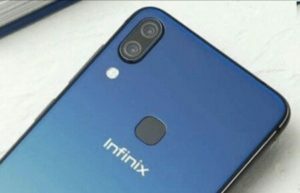 In doing so, the company will stand a better chance of surviving the future in the upcoming surge of competition in the African smartphone market, talking of which a more realistic image of the Upcoming Infinix Zero 6 has just shown up online, and guess what; the device looks amazing. The device is nothing we’ve seen from the Infinix Zero series before. 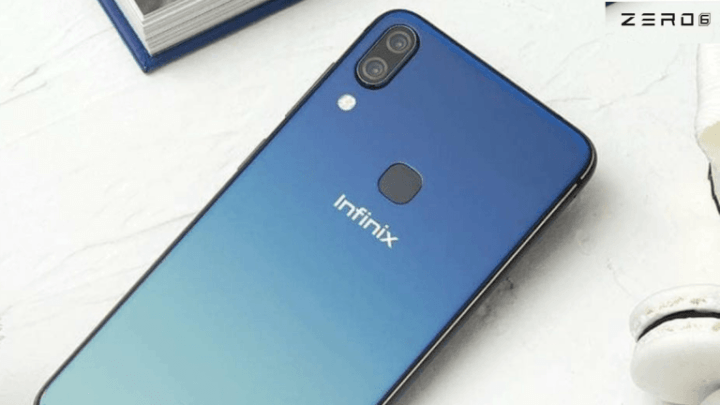 The rear panel feature a combination of Royal Blue and Sky Blue Gradient colors, with a vertically arranged dual rear camera sensors, a design entirely different from the current Infinix Zero. Aside the design, another exciting aspect of the phone is the presence of a Qualcomm Snapdragon 660 CPU and Adreno 512 GPU. Sadly, the device will still run on Android 8.1 (Oreo) out of the box, with possible update to Android 9.0 (Pie). As for the camera department, the device will come with a dual 12+20 megapixel main sensor, and a single 24 megapixel front facing sensor. Storage option includes 6GB RAM and 64/128 GB internal storage. Check the table below for more. Specifications wise, the Infinix Zero 6 Looks interesting already, and if the company is able to keep the device as competitive as possible (price wise), then the Tecno Camon 11 Pro might become a history sooner than later. Let have your thoughts about the Infinix Zero 6 in the comment section below.